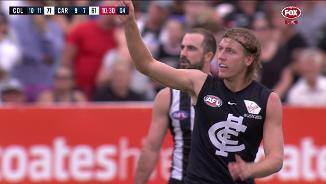 Carlton midfielder Will Setterfield has been charged with engaging in rough conduct. On the eve of Round 1, Adam 'Warnie' Child from 'The Traders' podcast highlights Carlton's best options. 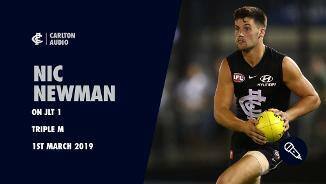 Setterfield added to Carlton’s flourishing young midfield stocks when he made his way to the Blues in the 2018 trade period. A former GWS Giant, Carlton has clearly been a fan of Setterfield for a long time, bidding its No.5 selection in the 2016 AFL draft. 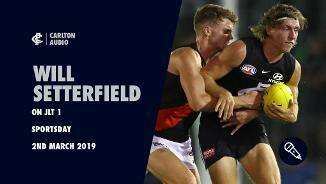 Now officially a Bluebagger, Setterfield — who has had his game likened to Marcus Bontempelli — is the prototype for a modern-day midfielder. He wins a combination of inside and outside ball, while he can also drift forward and hit the scoreboard. 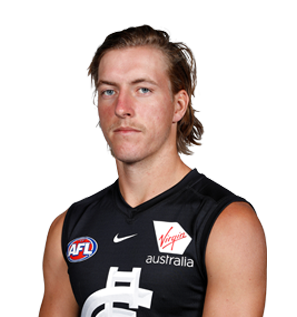 Draft history: 2016 NAB AFL Draft 1st round selection (GWS Giants) No.5 overall.